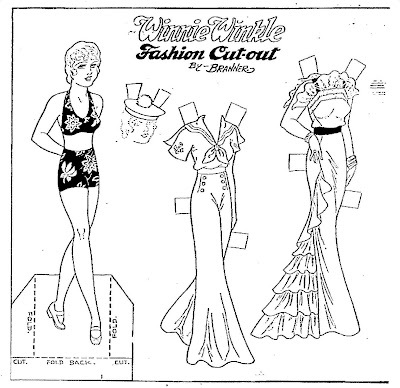 Another from the "Anna Belle" newspaper paper doll series. Anna Belle and Mama Clean House was published on May 27, 1911. I colored it this afternoon. This newspaper coloring contest for "The Parent Trap" appeared in the Evening Standard in Pennsylvania on July 19, 1961. "The Parent Trap" starred Hayley Mills, Maureen O'Hara, Brian Keith, Charles Ruggles, Una Merkel, Leo G. Carroll and Nancy Kulp. The movie was directed by David Swift. It is Rodeo time in Houston again. Yesterday I saw cowboys and cowgirls on horses and in wagons on Kirby Drive headed to Memorial Park. This morning as I walked around the track at Memorial Park, I saw all the cowpokes getting ready to head out for the Rodeo Parade. 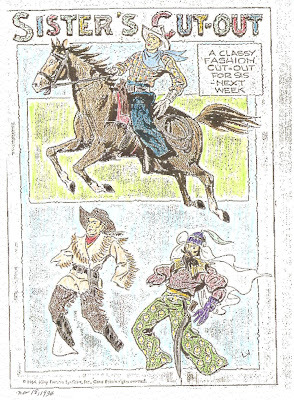 In honor of our visiting guests I am posting these western paper dolls. 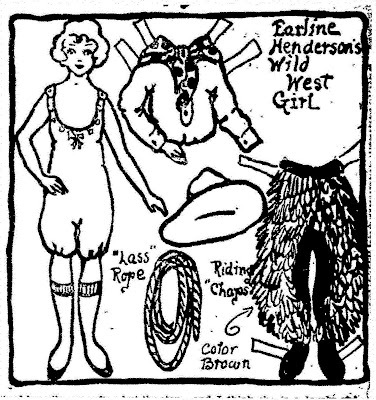 Earline Henderson's Wild West Girl is from the "Aunt Elsie" section of the Oakland Tribune and was published on November 16, 1919. 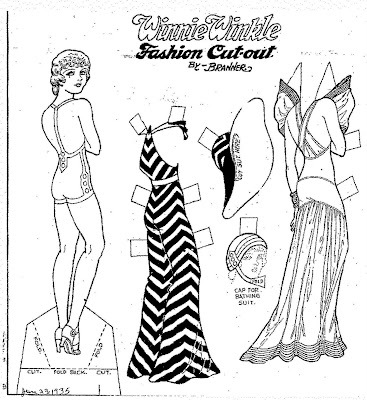 Sister's Cut-Out is from the Sunday comic strip "Big Sister" and was published on November 18, 1934. 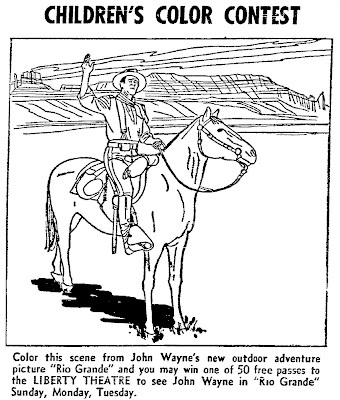 This newspaper coloring contest offered children a chance to win a ticket to see the movie "Rio Grande" starring John Wayne, Maureen O'Hara, Ben Johnson, Harry Carey,Jr. and lots of other good people. The movie was directed by John Ford and was the third in his cavalry trilogy. I really enjoy coloring the Modern Fairy Tale and Modern Mother Goose series of paper dolls drawn by Addie Roscoe Woodruff. 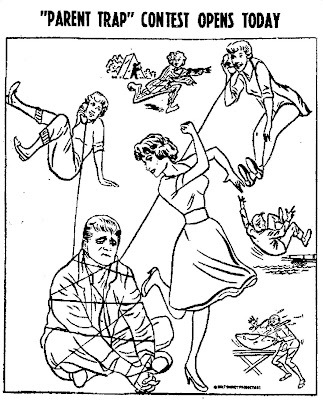 This is the "Brother" paper doll from the fairy tale "Brother and Sister" and it appeared in newspapers in 1940. 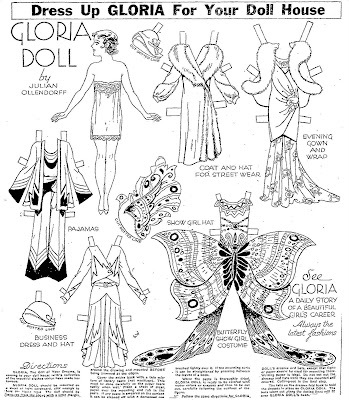 This newspaper paper doll accompanied a daily serial entitled "Gloria" that ran in Missouri newspapers in December of 1930. 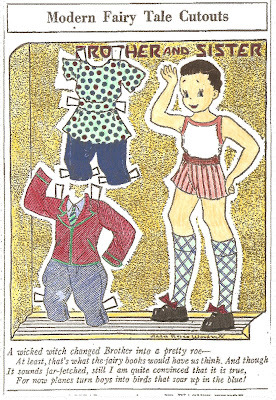 The paper doll "Gloria" was beautifully drawn by Julian Ollendorff and I was very excited when I found it in the newspaper archives. 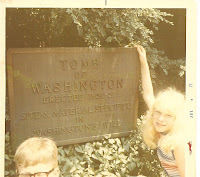 In the summer of 1971 our family vacation included a trip to Mount Vernon - what a great place to visit. George Washington had such an interesting life and was a great man. Poor Bobby, only the top of his head made it in this photograph. 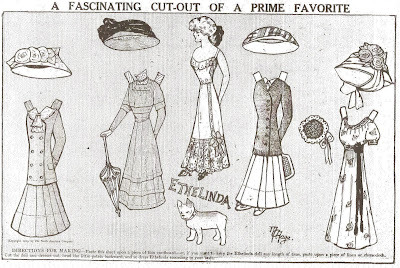 This newspaper paper doll appeared in the Oakland Tribune on August 08, 1909. Ethelinda was drawn by Margaret G. Hays. 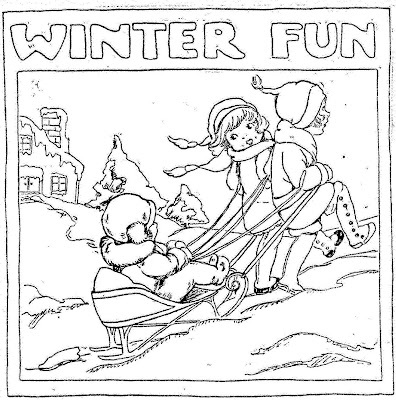 This "Winter Fun" coloring page is from the Edwardsville Intelligencer dated February 05, 1924. 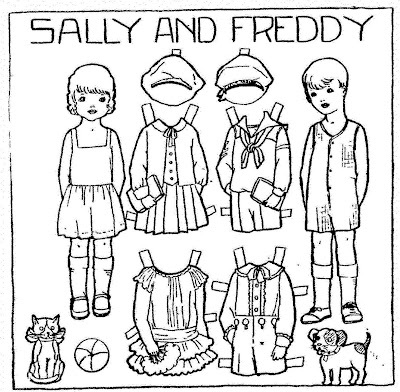 "SALLY AND FREDDY" appeared in the Edwardsville Intelligencer on May 02, 1927. 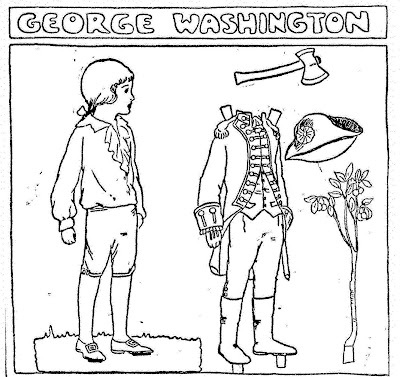 This newspaper paper doll of George Washington was published on March 11, 1924 in the Edwardsville Intelligencer.